It’s almost Valentine’s Day! ❤️ This cute little Cuddlebug Otter from Unity Stamp Company is a sweet way to send a bit of love to someone special. Add a ribbon across the top of the panel and layer the panel to red card stock. Attach entire panel to a white card. Stamp “Be My Valentine” with red ink on white card stock. (This stamp is from the Love You Every Day set by Unity Stamp Company.) 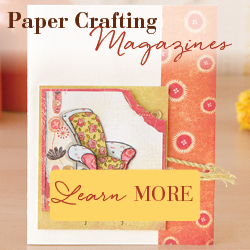 Punch with an oval punch and layer to a scalloped oval punched from red card stock. (The punches I used are discontinued from Stampin’ Up, but this is a great set of oval dies and another set of scalloped oval dies.) Attach to the card with foam tape. Finish the card by adding three red gems. If you don’t have the stamps or punches I used, no worries! Just use my card as inspiration and use what you do have! !